Barney is no peg for a Cosmo girl. 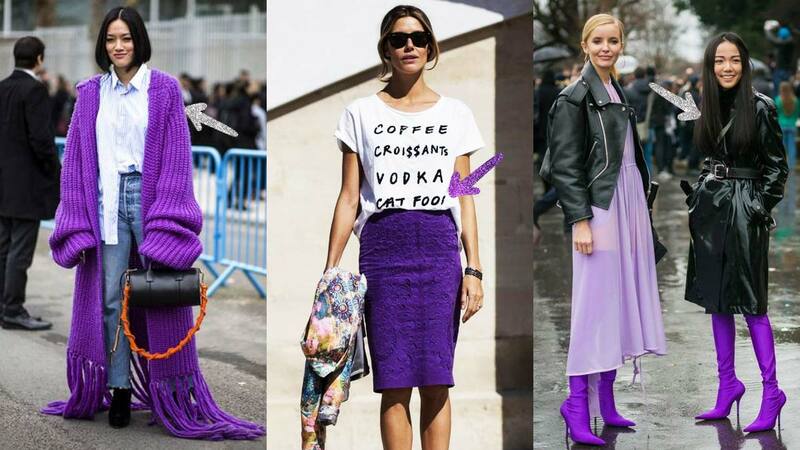 If you want to wear 2018’s ultraviolet, check out which hues would best complement the color of the year. Black, white, and grey would tone down the strong color. To add edge to an otherwise overly dramatic hue. Denim on denim on violet is a great equation. Don’t be afraid to style a bold color with another bold color. Because Gen Z yellow is the color you should wear with everything this 2018. Just remember: the key to pulling off ultraviolet is in balance and proportion. Sometimes all you need is a pop of color via an accessory to ace a winning combo.